Trump's SCOTUS nominee, Judge Neil Gorsuch, testified again today in front of the Senate Judiciary Committee. Today he revealed his take on technology, birth control, and a SCOTUS decision that came out today regarding his ruling. Check out our roundup of yesterday's marathon session here. On a SCOTUS decision from today that unanimously rejected a Gorsuch opinion: Gorsuch sidestepped questions about the Individuals with Disabilities Education Act (IDEA). At issue: Amy Klobuchar asked about why SCOTUS rejected his opinion regarding the benefit that must be given to children with disabilities. Gorsuch: "I have written for families under IDEA. I have written decisions against. In each case it has been based on my assessment of the facts and the law." Ted Cruz pointed out Gorsuch was bound by his circuit's precedent. On birth control and abortion: Lindsey Graham pushed Gorsuch to explain how Griswold v. Connecticut (which guarantees married couples can use contraceptives in privacy of their own homes) could be overturned. Gorsuch said it seemed highly unlikely: "I don't see it as a real threat." Gorsuch also said, "the Supreme Court has held in Roe v. Wade that a fetus is not a person" and that it is the "law of the land." On forced arbitrations: "I'm a big believer in jury trials and in the Seventh Amendment." This has implications for big corporations, since forced arbitration clauses make it nearly impossible for individuals to sue them (think: Gretchen Carlson and Fox, or the ghost accounts of Wells Fargo). On right to counsel: Gorsuch affirmed indigent defendants have a right to counsel. He dodged on questions about the Voting Rights Act, campaign spending, and POTUS receiving foreign payments. 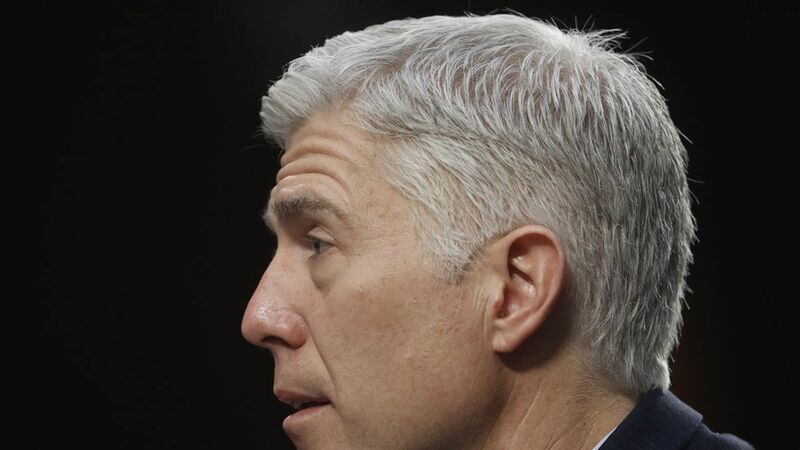 1 fun thing: Gorsuch: "John Hancock wrote his name bigly — " Ben Sasse: "You just said bigly. And I just won five bucks."